A luxurious pashmina shawl, or wrap is the perfect fashion accessory for any season, event or occasion! You will feel as great as you look since pashmina wool is the finest cashmere in the world. A pashmina wrap or shawl with traditional Chinese design is the perfect finishing touch to almost any outfit. For a dramatic accent, simply throw on an elegant pashmina/silk blend. Either way, you will always look stylish and fashionable. 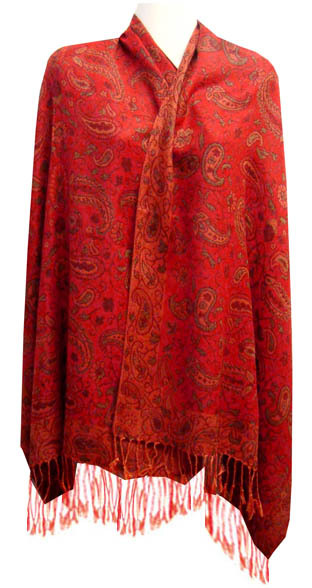 This elegant pashmina shawl is a great gift for any woman.